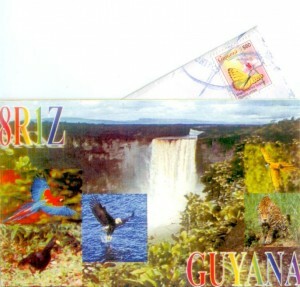 Today I received a QSL in the mail from 8R1Z in Guyana, South America. I worked Lennox on 14 August 2012 and was quite pleased to have a return QSL from him in a month's time. Contact was made on 20-meters SSB when conditions were good and the confirmation represents my 120th DXCC entity confirmed. Just last week I worked UA2FR in Kaliningrad on 17-meters CW and received an electronic QSL via LoTW yesterday. Valentin's contact and confirmation represents my 119th DXCC entity confirmed. Conditions on HF certainly haven't been great but there is DX to be had. I've been quite pleased to run into several 'new ones' on the bands and see quite a lot of activity on the DX-cluster. I'm hoping conditions continue to improve.